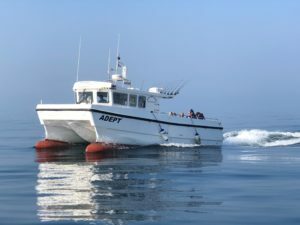 These vessels run charter boat tours to the wind farm site for divers, fishermen and wind farm tours. They are presented in alphabetical order. 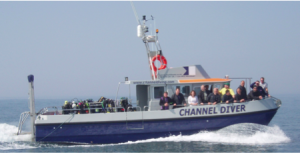 Services: Diving charters for groups and individuals from novice to technical. Home Port Brighton / Diving Sussex from Brighton & Eastbourne. 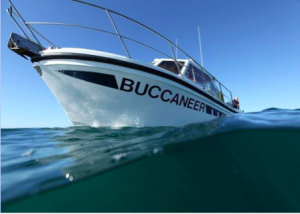 License: License MCA Cat2 60 miles / Skipper / Owner Paul Dyer – Yacht Master Offshore commercially endorsed. 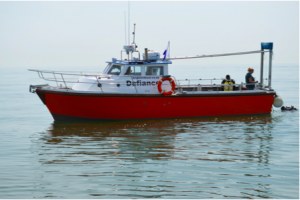 License: Channel Diver Boat License MCA Cat2 (60 miles) / Owner / Skipper – Yacht Master Offshore commercially endorsed. 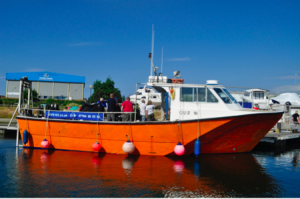 Dive Qualification: Advanced Instructor, Mixed Gas Rebreather Diver.